New year, new apartment rental opportunities as 491 Gerard Avenue in the Lower Concourse Rezoning area of Mott Haven in The Bronx is now accepting applications. While “affordable” housing doesn’t necessarily mean that it’s for low-income, we can all agree that these aren’t meant for the average local resident who the city claims to be helping with these developments. 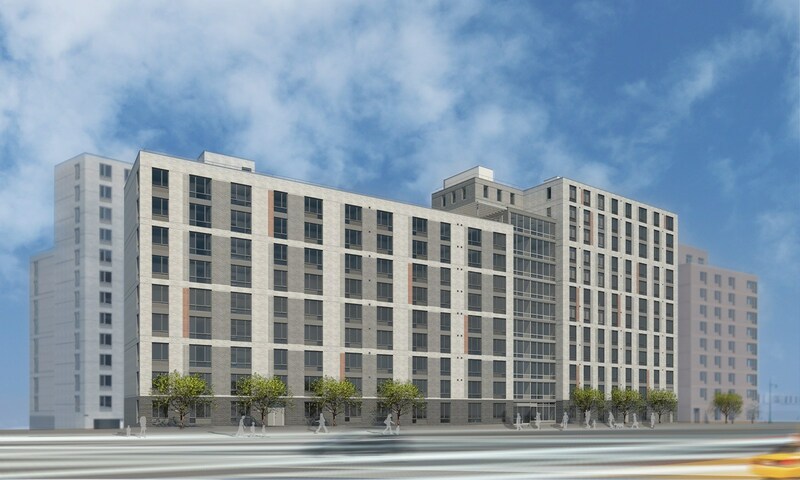 The 12 story, 130 unit building is located at 149th Street just a couple short blocks away from the 149th Street/Grand Concourse Station on the 2/4/5 line and when complete will feature a community room, roof top deck (how fancy), and a laundry room among other amenities. The building is also just a few blocks from the Bronx Terminal Market and you can also walk to Manhattan and head over to Harlem if you wanted to right over the 145th Street Bridge. Rents range anywhere from $865 for a studio for household incomes from $31,543-$40,080 to $1,831 for a 3 bedroom unit for household incomes of $65,349-$99,630. These incomes are supposed to be 60% and 90% of the area median income but we all know that the AMI is a brutal lie. These apartments have a 50% preference for residents of Community Board 1 but the ACTUAL median income for CB1 is $18,219 so these so called affordable apartments are not for the average CB1 resident where 28% are living BELOW the poverty line. 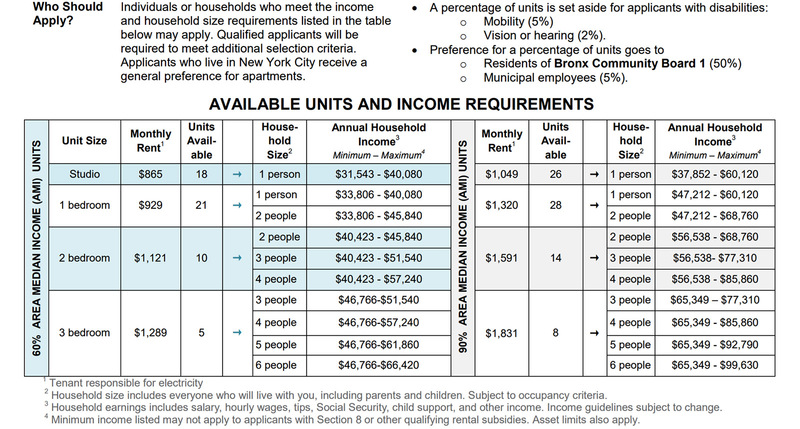 Anywho, should you want to apply for one of these apartments and see if you qualify, head on over to NYC Housing Connect and click apply.